The life, power and glory of the Church is prayer. Prayer is always in place in the house of God. When prayer is a stranger there, then it ceases to be God’s house at all. Our Lord put peculiar emphasis upon what the Church was when He cast out the buyers and sellers in the Temple, repeating the words from Isaiah, “It is written, My house shall be called the house of prayer.” He makes prayer preeminent, that which stands out above all else in the house of God. They, who sidetrack prayer or seek to minify it, and give it a secondary place, pervert the Church of God, and make it something less and other than it is ordained to be. The inner chamber is a sacred place for personal worship. The house of God is a holy place for united worship. The prayer-closet is for individual prayer. The house of God is for mutual prayer, concerted prayer, united prayer. Yet even in the house of God, there is the element of private worship, since God’s people are to worship Him and pray to Him, personally, even in public worship. The Church is for the united prayer of kindred, yet individual believers. 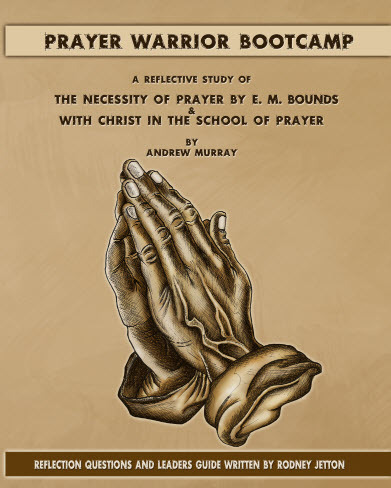 While it is conceded that the preaching of the Word has an important place in the house of God, yet prayer is its predominating, distinguishing feature. As God’s house is a house of prayer, the Divine intention is that people should leave their homes and go to meet Him in His own house. The building is set apart for prayer especially, and as God has made special promise to meet His people there, it is their duty to go there, and for that specific end. Prayer should be the chief attraction for all spiritually minded church-goers. While it is conceded that the preaching of the Word has an important place in the house of God, yet prayer is its predominating, distinguishing feature. Not that all other places are sinful, or evil, in themselves or in their uses. But they are secular and human, having no special conception of God in them. The Church is, essentially, religious and Divine. The work belonging to other places is done without special reference to God. He is not specifically recognized, nor called upon. In the Church, however, God is acknowledged, and nothing is done without Him. Prayer is the one distinguishing mark of the house of God. As prayer distinguishes Christian from unchristian people, so prayer distinguishes God’s house from all other houses. It is a place where faithful believers meet with their Lord. As God’s house is, preeminently, a house of prayer, prayer should enter into and underlie everything that is undertaken there. Prayer be longs to every sort of work appertaining to the Church of God. As God’s house is a house where the business of praying is carried on, so is it a place where the business of making praying people out of prayerless people is done. The house of God is a Divine workshop, and there the work of prayer goes on. Or the house of God is a Divine schoolhouse, in which the lesson of prayer is taught; where men and women learn to pray, and where they are graduated, in the school of prayer. On an earlier page, we made reference to the finding of the Book of the Law of the Lord given to Moses. How long that book had been there, we do not know. But when tidings of its discovery were carried to Josiah, he rent his clothes and was greatly disturbed. He lamented the neglect of God’s Word and saw, as a natural result, the iniquity which abounded throughout the land. With this righteous king, God’s Word was of great importance. He esteemed it at its proper worth, and counted a knowledge of it to be of such grave importance, as to demand his consulting God in prayer about it, and to warrant the gathering together of the notables of his kingdom, so that they, together with himself, should be instructed out of God’s Book concerning God’s Law. Prayer and preaching: preaching and prayer! They cannot be separated. Here then is the Scriptural definition of preaching. No better definition can be given. To read the Word of God distinctly — to read it so that the people could hear and understand the words read; not to mumble out the words, nor read it in an undertone or with indistinctness, but boldly and clearly — that was the method followed in Jerusalem, on this auspicious day. Moreover: the sense of the words was made clear in the meeting held before the water gate; the people were treated to a high type of expository preaching. That was true preaching — preaching of a sort which is sorely needed, today, in order that God’s Word may have due effect on the hearts of the people. This meeting in Jerusalem surely contains a lesson which all present-day preachers should learn and heed. No one having any knowledge of the existing facts, will deny the comparative lack of expository preaching in the pulpit effort of today. And none, we should, at least, imagine, will do other than lament the lack. Topical preaching, polemical preaching, historical preaching, and other forms of sermonic output have, one supposes, their rightful and opportune uses. But expository preaching — the prayerful expounding of the Word of God is preaching that is preaching — pulpit effort par excellence. What does your church put the most emphasis on? (circle one) Preaching, singing, bible study, fellowship, or prayer. Bounds says ____________________________ must accompany preaching to be successful.